* Whether youre at the gym, on your bike, on the soccer field, at home, office party, camping, kitchen or garden,enjoy the taste and health benefits of naturally flavored water with Mariiza water bottles.Get great taste, less waste and more savings. 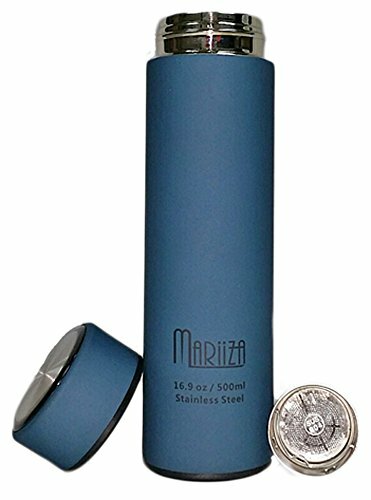 * Mariiza water bottles provide safe stain-resistant and no odors, * These durable, lightweight and BPA-free bottles are leak proof and easy to use. These bottles are perfect for water, tea, coffee, juice or just about any drink. *Comes with a metal filter inside for coffees and teas.